El Perellonet is a small borough of the city, located around 15km outside the city centre. An old fishing town, today this is the summer destination of choice for many Valencians. It is an escape with white-sand beaches that has managed to avoid building the skyscrapers found in many other towns along the coast, opting for lower houses. There are some 1,600 inhabitants in winter and, despite the fact that this number multiplies during the summer season, it does not suffer from the overcrowding experienced by other towns along the east coast such as Cullera, Gandía, Denia, Javéa or Benidorm. El Perellonet is situated in a perfect place: in the Albufera National Park, just south of the lake with the largest surface area in Spain. The population does not stretch very far back in the history books: at the beginning of the 20th century, there were some huts constructed for fisherman but nobody lived there on a permanent basis. The first family settled in 1903 when the Perellonet Canal was constructed, as the father of this family was to become head of the floodgates. During the 1920s, with the construction of the motorway linking El Perellonet with southern Valencia, more families settled and a dozen families arrived in 1930. Following the war, many more families came to find a place to set up a hut and dedicate their lives to fishing or agriculture, and in 1953, the original centre of the borough was founded, between the motorway and the beach. Due to El Perellonet’s excellent location and its pristine beach, it quickly turned into a summer destination during the 60s and 70s. El Perellonet extends some 4km parallel to the coastline, between the Canals of Perellonet and Perelló. The motorway splits the borough into two separate parts and the great majority of houses and apartments are found between the motorway and the beach. On the other side of the motorway are a large amounts of huts, orchards, and greenhouses that stop when they meet the large rice fields of the Albufera National Park. A living piece of Valencian history, we are reminded that all these ricefields were once part of Albufera Lake. The shallow water (between 80cm and 2m) allows the farming plots to drain easily, creating marshland ideal for rice cultivation. Since the 19th century, the ricefields have smoothed the terrain little by little. Blasco Ibáñez commented on how the rice became more profitable than hunting or fishing and changed the rhythm of things in his book ‘Cañas y Barro’. The marsh stretches over some 14,000 hectares and is the most expansive area of the National Park, forming an agricultural landscape that holds great importance in Valencian history. The ricefields, inundated in spring and with a lush carpet of green in summer, give special light and colour to Albufera and El Perellonet. The heart of El Perellonet is charming. For the most part formed by houses, chalets, and low apartment blocks, it avoids the summertime overcrowding experienced by other towns along the coast. The spacious beach and sparse population mean that a great many hours can be spent basking under the sun in front of the Mediterranean waters. Close proximity to Valencia and El Perelló (from which it is separated only by a canal) mean that residents of El Perellonet have access to all the services they need. El Saler is located at the entrance to Valencia, beside the motorway that passes El Perellonet. Shops, a large supermarket, and multiplex cinemas are located here. A great number of services and leisure options are also available in Perellonet and neighbouring Sueca and Cullera. 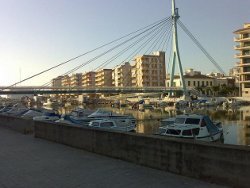 The El Perelló Nautical Club is located next to the canal of the same name, and adjacent to El Perellonet. 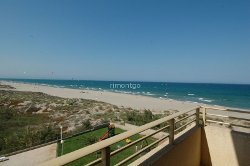 The beaches between El Perellonet and Cullera are regularly used for watersports such as windsurfing, kitesurfing, and surfing. El Perellonet will delight golf lovers: The El Saler golf course is located only 2km from the town. Professionals, afficionados, institutions and specialised media regard this course, designed by Javier Arana in 1968, as one of the best in the world. The course, located next to the sea and between the dunes of the beach and Albufera, is perfectly integrated into protected countryside. The golf lover can play some holes whilst enjoying the sound of the waves, the seabreeze, and the Mediterranean pines. All the biggest names in golf over the last 30 years have played at El Saler. The club’s record is held by German Bernhard Langer, with 62 strokes, 10 below par for someone to attempt to better. The importance of rice within Valencian culture is shown by the local cuisine, particularly in areas surrounding the lake. Therefore, El Perellonet is one of the best rice-growing regions, together with neighbouring hamlet Palmar and the restaurants of Malvarrosa beach in Valencia. Although paella is the best-known dish with an infinity of variations, there are a number of dishes epitomising the richness of Valencian cuisine that are unfairly forgotten. 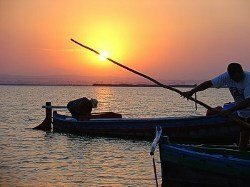 A plethora of traditional restaurants are found in El Perellonet and gastronomic treasures are hidden all over Albufera. Going for a paella in a restaurant on the marshes of Albufera is a typical activity enjoyed by Valencians. Browse El perellonet property for sale listings.